Do you simply accept the limiting, vague, and objective definition of “health”? Or, are you willing to redefine health as it pertains to all areas of life; creating your own description of what ‘healthy’ truly means to you? If you answered YES to the second question, you are in the right place! 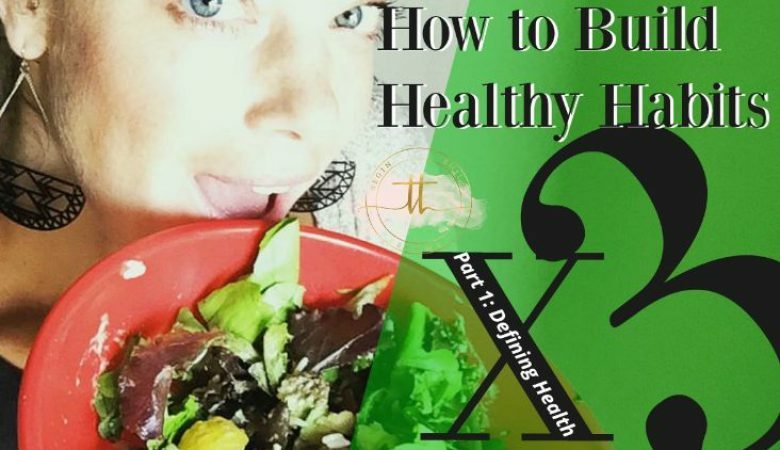 In the video below, I cover the 1st of my 3 tips to building healthy habits: Defining Health. Why not start with defining what ‘healthy’ habits are to us, personally!? Get ready to learn why and how to define what I’m calling your “Healthy F-Words”, which are key areas of life that involve our overall wellbeing. Best of all, you can download my FREE Tessie Tool™ that goes with this video. The free download is a Roadmap to defining each of these 7 areas (f-words) in your life! Here’s a sneak peak of the life areas I find crucial to look at and spend time defining what our ‘healthy’ ideal is in each area. 6. Fun – If you need an explanation for this one… start here! 7. Faith & Spirituality – Solidity in whatever force or higher power you resonate with, be it God, the Universe, Buddha, Allah, etc. Download your very own, interactive Roadmap for Defining Your Own Health – FREE at tessietracy.com/roadmap You’ll be guided through an exercise of defining what ‘Healthy’ means to you in 7 key areas of life (aka your Healthy F-Words).